Double-sided thermally conductive stickers are made of tape manufactured by 3M. Their size, 20x15mm, allows connecting integrated circuits in TO220 (and other) cases with heat sinks. 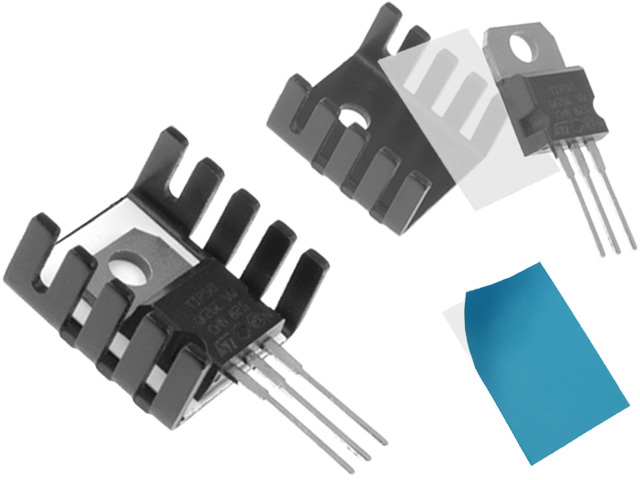 Such type of mounting, compared to standard screwing or clip fixing, does not only save time, but also eliminates the need of applying thermally conductive interface pads. Tape with thickness of 0.25mm is characterised by excellent adhesion and has very good thermal conductivity properties (k=0,6 W/mK). At special request we provide stickers with different sizes.